"A secure future was in my grasp at last, or so I thought! Then came the divorce. Going through a divorce during midlife isn’t just emotionally wrenching, it’s the possibility of financial disaster that makes the future seem so frightful. You wonder what the divorce’s financial repercussions will be and how they will affect the rest of your life. I was so thankful when I came across Bedrock Divorce Advisors. Working hand in hand with an ally and advocate who understands the complex financial aspects of divorce empowered and gave me a meaningful advantage. Suddenly I had a sophisticated financial model incorporating taxes and other factors on my side, allowing me and my divorce attorney to see what potential settlements would really mean for me now and many years into the future. I still had to make difficult decisions and accept compromises, but understanding the numbers and their implications enabled me to move forward. Now I’m pondering a future I never thought I’d encounter, but I’m now financially equipped to enjoy it." Based in New York City, Bedrock Divorce Advisors exclusively advises affluent women throughout the United States before, during, and after divorce. We are not attorneys; rather, we help women and their divorce attorneys decide on the most advantageous way to divide marital assets and enable them to negotiate more favorable settlements, especially when there are complicated financial and tax issues. We typically work alongside our clients’ divorce attorneys, analyzing complex financial assets, evaluating proposed settlement terms and providing projections that enable the attorney to negotiate the most favorable divorce settlement agreements. Together, we help our mutual clients emerge in the best financial shape possible: not just in the short term, but far into the future. Bedrock has served as an expert source regarding the financial impact of divorce on affluent women for CBS TV News, the Wall Street Journal, Dow Jones, Smart Money, Forbes.com, Inc.com, Enterprising Women magazine, and others. Why does an affluent woman need a Divorce Financial Strategist™? Divorce can be financially disastrous, particularly for an affluent woman. It can also be the opportunity to lock in a secure financial future. The difference lies in how she handles the process. Your Bedrock Divorce Financial Strategist™ will serve as the financial expert on your divorce team, working hand in hand with your divorce attorney to guide you through the stressful and complex process of unraveling your marital assets and finances. While your divorce attorney handles legal matters, Bedrock will work to ensure you’re financially covered before, during, and after your divorce. For instance, Bedrock provides financial analyses and projections that show the full financial and tax implications of each proposed divorce settlement offer: critical information your divorce attorney can use to substantiate and justify your position at the negotiating table or if necessary, in the courtroom. Why can’t a divorce attorney, CPA or regular financial advisor provide these services? The divorce financial analyses and projections Bedrock provides require highly specialized expertise that can only be developed with advanced training and experience. The vast majority of financial advisors, CPAs, and divorce attorneys have not undergone this level of training. In fact, finance is rarely taught in law schools. And while CPAs excel at historical and present-day snapshots, few carry out future projections—and yet it’s these future projections that will tell you whether your future is likely to be financially secure or not. Likewise, financial advisors tend to have little or no knowledge of the financial and tax implications of divorce. A rare 1% of financial advisors have earned the Certified Divorce Financial Analyst™ designation, and most of them have not completed additional advanced training and education in the field of divorce finance and law. And many financial services firms, including Merrill Lynch, Morgan Stanley, UBS, and Wells Fargo, do not permit their financial advisors to provide advice on real estate or on closely held businesses, factors that can be crucial in a divorce, particularly when such assets represent the vast majority of a couple’s net worth. When Bedrock teams with your divorce attorney, each party maximizes his or her core expertise for your benefit: your divorce attorney uses his or her significant skill to bolster your legal case, while we apply our specialized expertise to improve your financial outcome. For a woman with significant or complicated assets, hiring Bedrock to assist before, during, or after a divorce can make a life-changing difference in terms of her financial well-being. We’ve encountered many cases where a client’s proposed settlement offer sounded fair and reasonable on paper, even to her experienced divorce attorney. For example, in one instance our analyses and projections revealed that if such a settlement were signed, our client would run out of money in 15 years while her husband would have walked away with a net worth of many millions of dollars. Unfortunately, this is all too common, and without conducting our analyses, there’s no way to predict it. With its mission to help women Think Financially, Not Emotionally®, Bedrock has helped affluent women of all stripes, from executives and celebrities to business owners and stay-at-home moms across America, think wisely during the throes of divorce. Bedrock also helps successful women entrepreneurs divorce-proof their businesses —often their most valuable asset—and happily married, engaged, and single women guard against the financial misfortune of any future divorce , strengthening their personal financial position in the process. Jeff Landers holds a bachelor’s degree in psychology from Columbia University and studied law at Pace University School of Law before joining Wells Fargo Advisors, where he began his divorce practice helping women undergoing financially complex divorces. 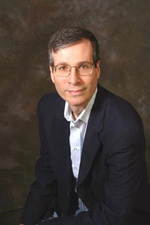 Backed by more than three decades of financial experience and an education in law, he went on to earn the Institute for Divorce Financial Analysts’ designation as a Certified Divorce Financial AnalystTM (CDFA) and underwent significant additional advanced training in divorce finance before founding Bedrock Divorce Advisors in early 2010. Jeff writes the weekly “Divorce Dollars and Sense” blog for Forbes.com and has authored multiple articles on divorce for The Huffington Post, the New York Post, Inc.com, and others. (View his articles on the financial aspects of divorce here.) He has also served on the advisory board of Enterprising Women, a magazine devoted to women business owners. He also holds the Chartered Retirement Planning Counselor® (CRPC) designation and is the founder of Bedrock Divorce Advisors’ sister firm, Bedrock Wealth Management LLC, providing post-divorce retirement planning, asset protection, investment services, insurance, college savings and more with the goal of making each woman’s divorce settlement last as long as possible while helping her achieve her personal goals. In his spare time Jeff has taught himself Japanese, completed several marathons and patented an exercise machine. He is currently in the process of founding a 501(c)(3) nonprofit to help women in physically, emotionally, and financially abusive relationships. He has been married for more than 28 years and has two daughters. Copyright © 2010 - 2017. Bedrock Divorce Advisors™, LLC.